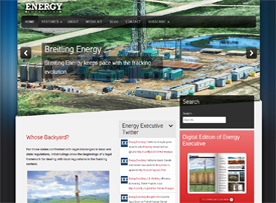 Currently featured in Energy Executive Magazine Summer 2014 edition. For those of you who have asked, here is a list of our standard client services. LDV Oil and Gas Consultants provides professional oil marketing services as well constant updates on market news and directions. Lee can locate the best regional markets for getting top dollar for producers oil/condensates. My company retained LDV Oil and Gas Consulting in August of 2013. Within an hour of signing the consulting agreement Lee sent me contact info to Oil and Gas Executives. We are in the process of closing our first deal. I am very thankful and grateful to have met Lee. If you want positive results make Lee part of your team. "Lee is spot on in his market evaluations and contract negotiation skills. Lee is personable and easy to understand. His fees are very reasonable, especially for the results achieved. We continue to do business with Lee because of his unstoppable dedication to monitoring and interpreting world and national events that affect oil and gas prices and to making sure that we always have the latest information before we act on a new contract. We simply will not act without first seeking his advice on a contract. I would highly recommend Lee Vendig to any company, large or small. He is indeed a true professional and knows his stuff. The Survey asked me to \"Choose THREE attributes that best describe this service provider\" and I chose all of them. Unfortunately, they wouldn\'t publish it until I culled it down to three. But in reality, Lee Vendig exhibits all of the qualities listed, Great Results, Personable, Expert, Good Value, On Time, High Integrity, and he is Creative." "Lee works directly with his clients providing information and details needed to provide best contracts with oil and gas purchasers. He has always been honest and fair on all his dealings with our company. I recommend him for companies without the expertise needed to know what the current market offers in dealing with Oil purchasers." "Increased our price received ten-fold." "Lee, hard to say all the good things about Lee, If you hire him you will not be disappointed. Integrity, results, and good guy. He will make you money." 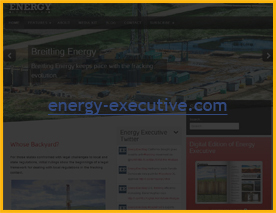 "Lee has handled the crude oil marketing for my company since 2011. He has done a very good job of maximizing our revenue to the fullest." "My company hired Lee Vendig as a consultant to help maximize the oil price received at our leases from various oil purchasers. We have been very satisfied with the results obtained." "I have worked with Lee on a couple of projects and his analysis and timing were very beneficial for our company. His recommendations literally increase our cash flow in the six figure range. The cost to do business with his company on a monthly basis is so minimum to the bottom line that I didn't hesitate to continue this relationship in other ventures. His relationships with the first level purchasers and his knowledge of their markets really shortened my decision tree and gave me a comfort level when negotiating for our company's marketing needs. If you need that extra comfort level before making your marketing decisions please give Lee a call." "I have been working with Lee for over 5 years to market my crude oil. He has done a fantastic job beating the market over and over. I can't imagine ever using someone else. Lee is a true professional." The Avalon and Bone Springs shale oil play is located in the Permian Basin in Southeast New Mexico and West Texas. The Avalon play also includes the New Mexico Leonard Shale. Due to the lack of data published, Bone Spring and the Avalon shale are combined into a single unit. 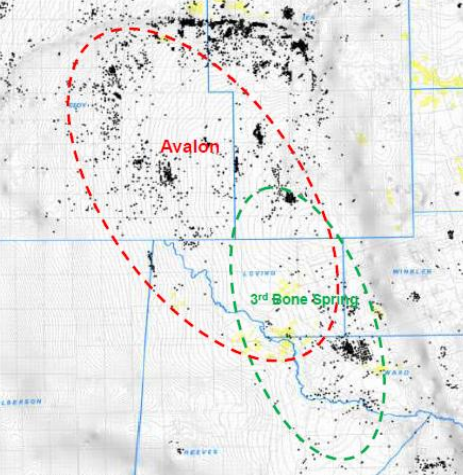 The area for Avalon and Bone Springs was calculated using maps and other data reported by the companies who are currently leasing acres within Avalon and Bone Springs. The total active area is approximately 1,313 square miles. The shale oil play has an average EUR of 300 MBO per well and approximately 1.58 Bbl of technically recoverable oil. The play has a reported depth from 6,000 to 13,000 feet and a thickness ranging from 900 to 1,700 feet. Other average properties were estimated for the Barnett-Woodford shale play. These include the depth (8,750 ft.) and thickness (1,300 ft). Porosity and total organic content for the shale are unknown. In 2008, there were 6 companies holding leases in the Avalon and Bone Springs play. As of 2010, these companies have leased a combined total of 840,000 net acres (1,313 square miles). According to Concho, the average well cost within the Bone Springs play range from $3 to $5 million dollars. SandRidge Energy currently has 31 horizontal rigs drilling within the Bone Springs and Avalon shale play and according to Concho, as of August 2010; the industry has drilled 250 horizontal wells within Bone Springs play. Copyright 2019 Lee D. Vendig, II Oil & Gas Consultants, Inc.